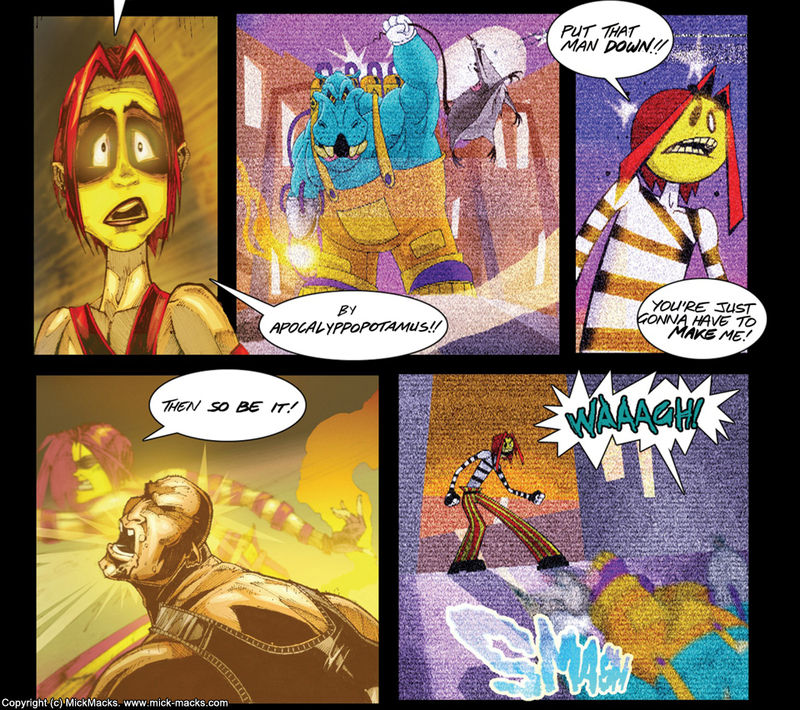 A dark and gritty psychological thriller meets bright and colourful cartoons in this in this underground cult hit. Checkers is a strange individual. He lives in the sewer and goes out every night to fight crime because he believes is a superhero. He has a tiny companion, a thumb-sized pink elephant named Thumbo who alerts him to crimes that are happening. 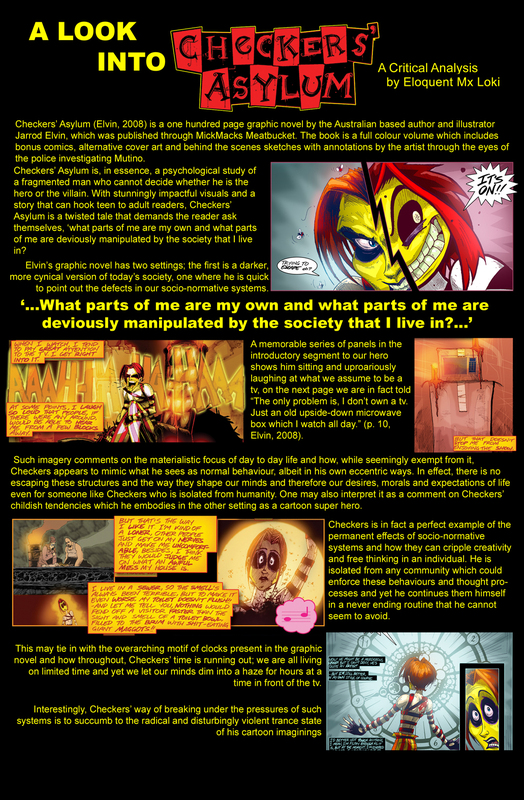 Needless to say, Checkers is deeply insane, and his insanity manifests in cartoon hallucinations! 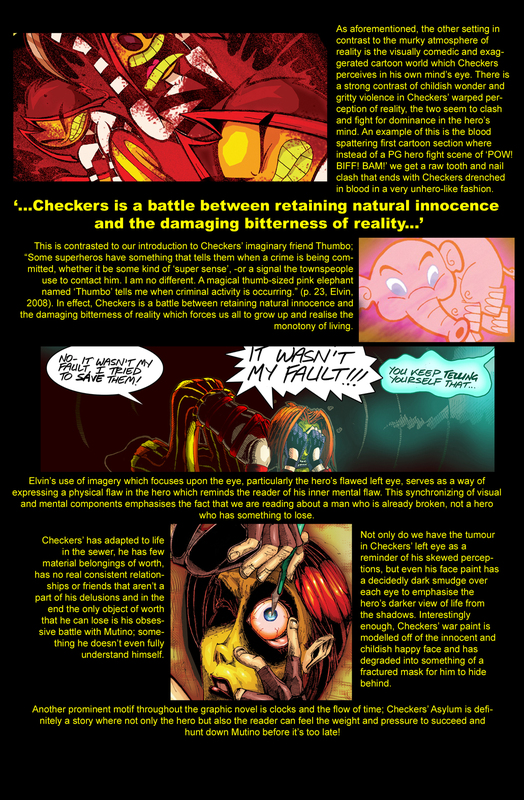 Before he knows it, his hallucinations have taken over completely and Checkers is fighting crime in a world of crazy cartoons. His attention is soon brought to a mysterious serial killer in the real world, called Mutino, who arranges the bodies of his victims in macabre poses. 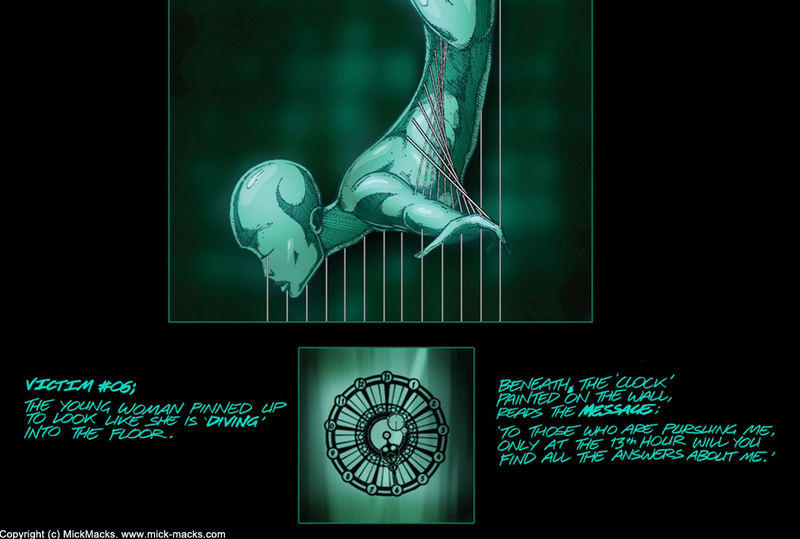 Muntio leaves the image of a clock nearby that counts the number of the murder. Only Checkers can stop Mutino before it is too late, for when the clock strikes 13, Checkers' whole world will come crashing down. 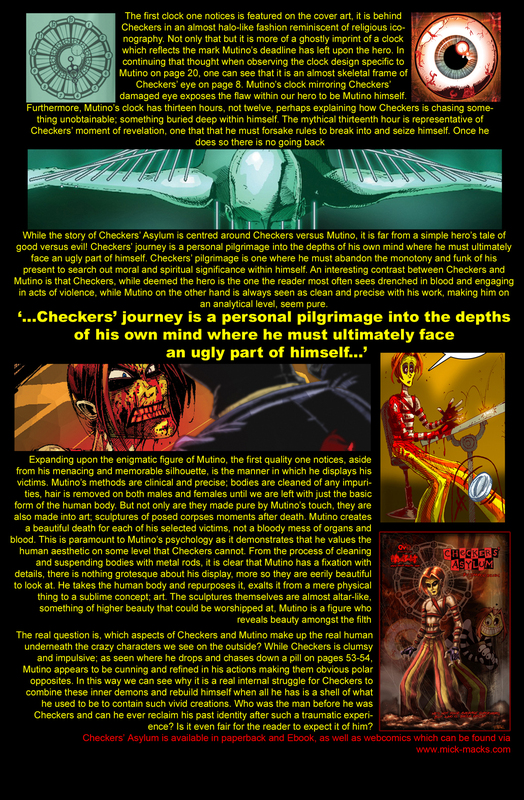 We use the print-on-demand services of Lulu to print Checkers' Asylum as a beautiful quality, full-colour paperback graphic novel, a smaller, inexpensive black and white paperback pocketbook, and eBook for Kindle and other devices. Use the following links to order or purchase your copy directly from them. 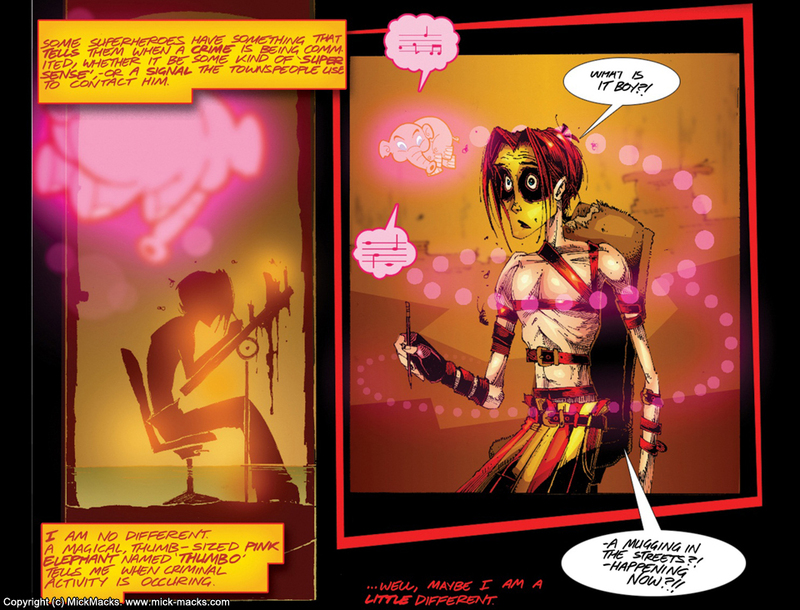 Checkers' Asylum is also available in digital comic format from ComiXology for you to read on your phone, tablet or computer. 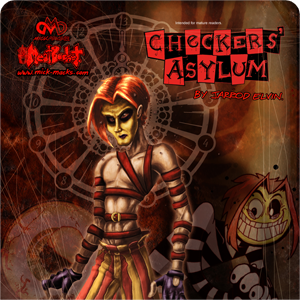 Please continue reading for more information on Checkers' Asylum. 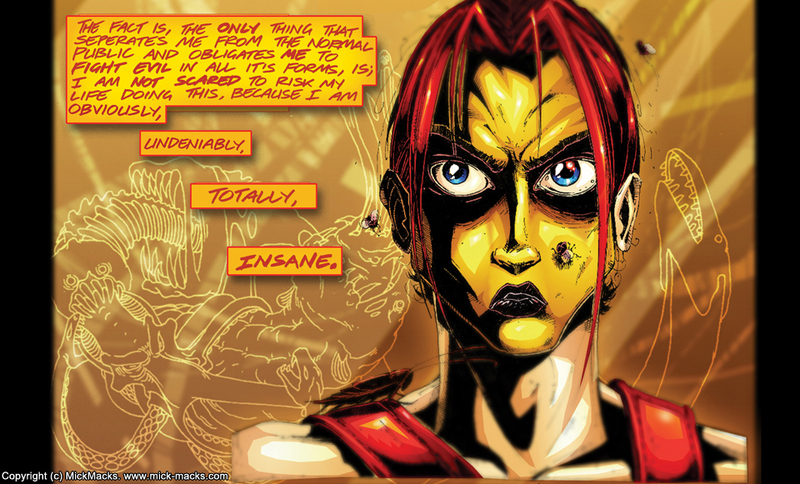 Graphic novel, 80 pages plus extras. 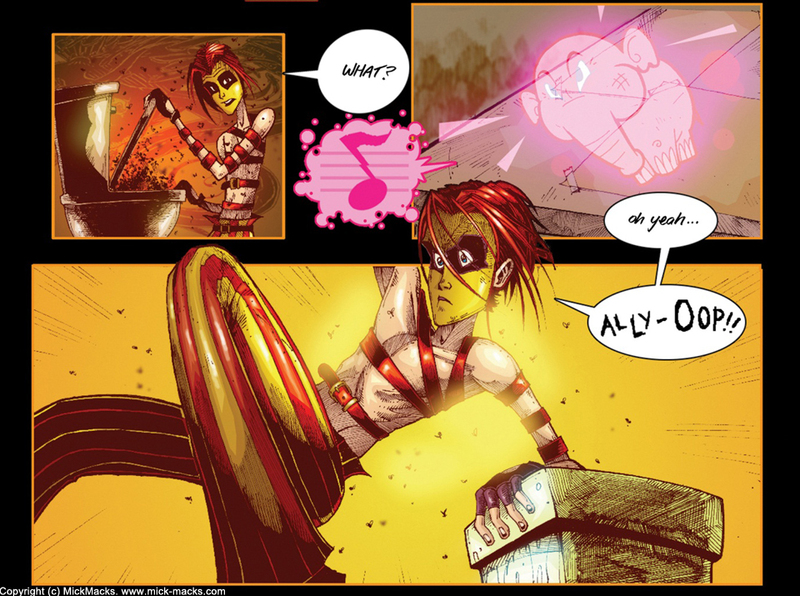 Checkers' is a dark, zany and tragically insane superhero fighting cartoon hallucinations through a gritty urban underbelly on the hunt for a macabre serial killer.